I started reading this book with great anticipation as I have always been interested in the lives and families of the children evacuated during war. 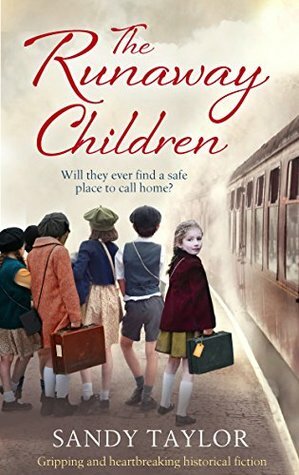 Nell and Olivia are sent away during the blitz in London to remove them from imminent danger and we are very much aware that it is tearing this family apart. Their older brother decides at the last minute to stay behind which leaves Nell to support her little sister in whatever may come next. Luckily for the girls they are initially placed with a very loving couple who take them in as their own. Despite missing their parents and siblings the girls are content in the country. They are distraught when the couple must move and cannot take the two with them. Unfortunately their next billet isn't so nice and Nell is forced to try and escape with her little sister to safety. They are then on their own with no money and no communication with anyone who can help them. This portion of the novel was obviously distressing but I found it a tiny bit unrealistic. I found it astonishing that children weren't checked on in these placements. They eventually find themselves in luck again though with someone who becomes very special to them and this bond was so special for both parties that it held throughout the remainder of the novel. The girls learn to entirely rely on each other which was,for me, the heart of the novel. The circumstances in which they found themselves were perhaps exaggerated at times but I still found the story gripping and worth reading and I did learn a few new tidbits of information about the process of evacuation from the novel.